HDFC Asset Management Company Ltd, The second largest asset management company has come upon with its IPO offer of Rs 2800 crore, which will open for subscription on Wednesday. The promoters of HDFC AMC are Housing development finance corporation limited and standard life investments Ltd which shows a strong positive impact because of the strong parent company. HDFC AMC's IPO is priced at Rs.1095-1100.The IPO offers up to 2.54 crore equity shares of fund house through an offer for sale of 85.92 lakh shares by HDFC and upto 1.68 crores shares by standard life investments Ltd. HDFC AMC is selling a 4.08 per cent stake in the IPO, while the standard life will offload 7.95 per cent holding. Brokerages are positive and optimistic on the HDFC AMC's offer and their recommendation on the offer is to subscribe the IPO offer they hold a positive point of view on subscribing the IPO offer and are also positive on long-term investing approach and recommends to subscribe the offer for the long term. HDFC AMC has also raised Rs 732 crores from the Anchor investors, ahead of its initial share share sale. As per sources, the Anchor investors were a capital group, FMR, ADIA, Temasek, ICICI pru MF, SBI MF, fidelity international, Reliance MF and industries Aditya Birla, HSBC global, IIFL and many more and as per the Association of mutual funds of India, HDFC AMC had assets under management of Rs. 3.06 lakh crore at the end of June 2018. It is the largest asset management company in terms of equity oriented assets. There are a lot of parameters and factors of the IPO to be attractive and an opportunistic offer for investors. HDFC AMC has an advantage because of the strong parent company, high dividend payout ratio and industry's growth potential are the key triggers. The long-term potential of the growth of the Mutual fund industry is the biggest driving factor for this Asset management company as for the mutual funds and the equity market is flooded with a pool of funds and money by the investors. Even household conservative investors are turning out to become bold and adventurous investors investing in the equity markets and investing in the mutual funds and related schemes trusting the positive growth of the Indian economy and thereby triggering the growth of the mutual fund industry and the "mutual fund Sahi hai" initiative by AMFI are also other positive factors. HDFC AMC is among the very few players which are in the best position to capture the high growth potential of India's mutual fund industry, which is actually underpenetrated in comparison with the mutual fund industry of developed nations. Overall, considering all the factors HDFC AMC IPO looks to be an attractive offer and good for a long-term bet. 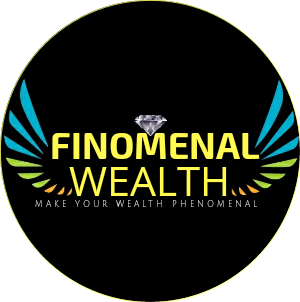 I am the founder of Finomenal Wealth,I am a Google blogger, a finance enthusiast stock trader,an investor,an avid writer, a fanatic learner and inquisitive mind with entrepreneurial ambitions and aspirations. HDFC AMC IPO had attracted the invester getting 83 times subscription...Lets wait allotment to be out. Great info on DMCA complaint. Looking for software courses? Thanks for Sharing a Information and this post help me lot to undersatnd Please Share Some More Information about other software courses. any bank like Jp morgan chase wells fargo.